Download American Gods in Digital HD from the iTunes store. Listen to the American Gods soundtrack on Apple Music. 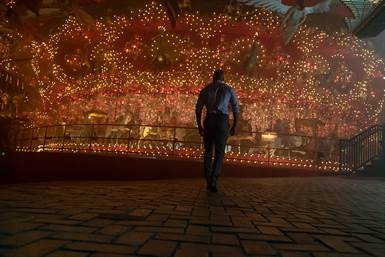 American Gods images are © Starz Media. All Rights Reserved. 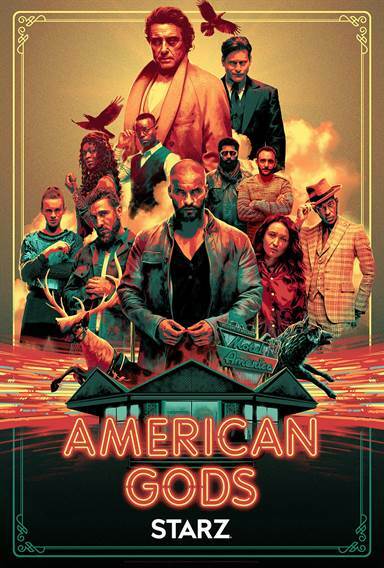 American Gods, the Starz series based on the novel by Neil Gaiman, has successfully finished its first season both critical and audience acclaim. Tomorrow, October 17th, it will be available to purchase on Blu-ray. Producer Bryan Fuller (Hannibal) has created a masterpiece in television cinema where Gods walk among us. The main character named Shadow Moon (Ricky Whittle; The 100) is an ex-con who is hired by one of the old gods, Mr. Wednesday (Ian McShane; Ray Donovan), to be his bodyguard and chauffeur as he tries to recruit the old gods into helping him win a war against the new gods. Opposing Mr. Wednesday in his crusade is Mr. World (Crispin Glover; Back To The Future), the Technical Boy (Bruce Langley; Deadly Waters), and Media (Gillian Anderson; The X-Files). Adding to the chaos is Shadow Moon's dead wife, Laura Moon (Emily Browning; Sucker Punch), and a leprechaun, Mad Sweeney (Pablo Schreiber; Orange Is the New Black) whose luck has turned bad. As each side is trying to recruit as many gods as possible, it was just a matter of time before it all spilled over in our world. 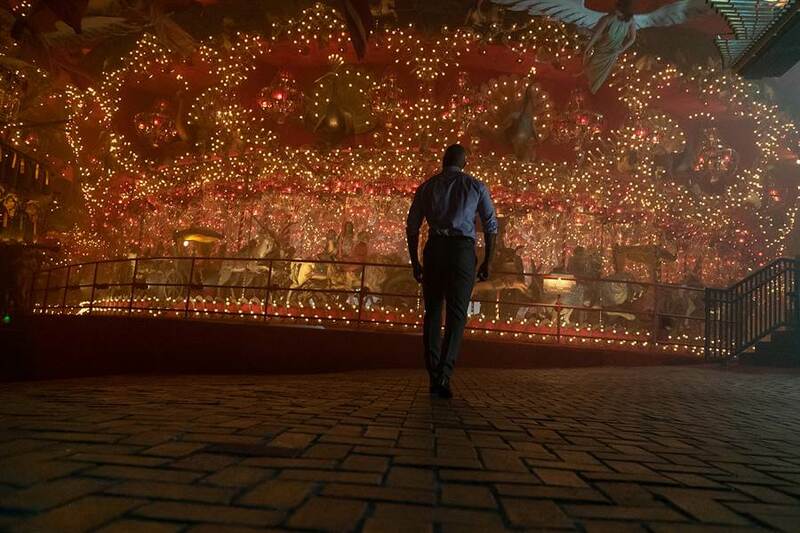 American Gods is one of the most unique shows currently running on television. Its high concept premise will make some people take a step back from it, however, if you give it a few episodes you will be so engrossed you will find yourself binge-watching the rest of the season. While most of the show follows the novel, the addition of the historical opening of each show is a nice touch that adds more depth to the season. Make no mistake about it this show is a "thinking" one so if you are looking for mindless television, then this is not the show for you. The cast of American Gods is truly exceptional. Whittle and Browning have amazing chemistry and give some of the best performances of their respective careers. Old-timers McShane, Glover, and Anderson add an air of respectability to the show and their performances truly deserve Emmy nominations. Meanwhile, the characters portrayed by Schreiber and Langley (Mad Sweeny and Technical Boy respectively) are portrayed equally as well and help to move along the story. Aside from an amazing cast, there are also some great guest appearances from Cloris Leachman (The Facts of Life) and Kristin Chenoweth (The West Wing), just to name a few. The Blu-ray is presented in 1080p AVC. The transfer itself is amazing with very little issues, however, the changing aspect ratio is a bit jarring at times. Most of the season is filmed in a 1.78:1 aspect ratio; however, some scenes are presented in a 2.39:1 ratio. While each ratio was chosen as the best possible option for each scene respectively, it can at times, pull you out of being fully immersed in the show. The Dolby TrueHD 5.1 soundtrack creates a nice dynamic range for most episodes. Dialogue is relegated to the center channel while the special effects and score are present on the rest. Even the smallest of sounds can be heard in the mix adding to the overall enjoyment of the viewing experience. 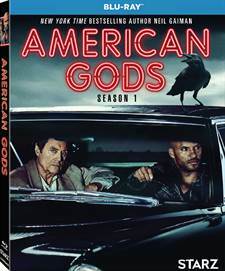 Going against the norm for a television Blu-ray set, The American Gods season one Blu-ray pack contains a plethora of special features including eight documentaries, a 360-degree exploration of the infamous Crocodile Bar showcased in the series, and audio commentary by the cast and crew on episodes one and eight. Added to this is a Digital HD Ultraviolet copy of the series so you can catch-up on the show while on the go. With this many special features added to an already dynamic series, this Blu-ray is a must own for any fan of the show. While American Gods is an amazing show, it is extremely high-brow/concept show that you have to pay very close attention to or you will be lost. If you have never seen the show I suggest at least giving the first two to three episodes a try. You will not be disappointed. American Gods images © Starz Media. All Rights Reserved.